In Maldives, polling is going on smoothly for election to the parliament. Voting hours have been extended by two hours till 6 PM local time. Polling has been smooth so far and around 60 percent voting was reported till 3 PM. Counting of votes will begin after polling is over and preliminary results are expected by tomorrow morning. A total of 386 candidates are in the fray for 87 seats including former President Mohamed Nasheed and parliamentary speaker Qasim Ibrahim. 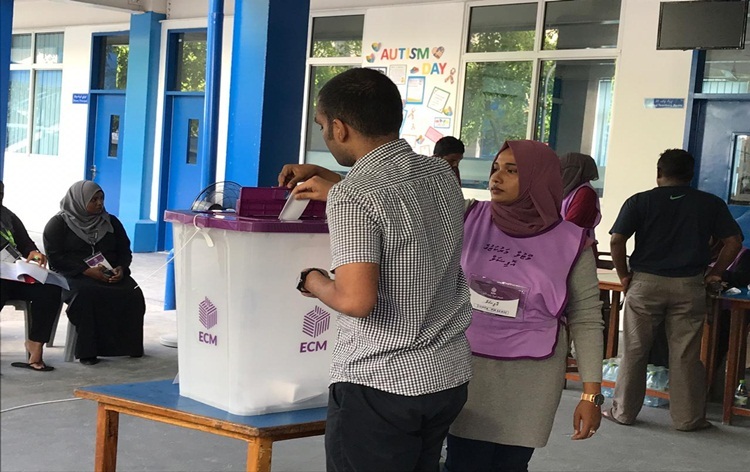 The main contest is between Maldives Democratic party (MDP) led by former President Mohammed Nasheed and opposition coalition led by former President Abdulla Yameen. Media reports that the current election has become interesting as its results will have bearing on the stability of government under President Ibrahim Mohamed Solih. President and Mr Nasheed are calling for MDP majority in parliament to ensure the government remains stable and they are able to deliver on their promises. Mr. Solih won the Presidential election last September as the coalition candidate of four parties including MDP.